Submitted by Sara on Sun, 2007-09-02 12:24. I found myself lost in my own planner yesterday... somewhere in the many notebooks I have created and purchased over the past year is a very important tidbit of information. I jot everything down these days... capturing every lil thought has saved me a lot of energy. however, I can't find where I wrote it~! I'm on a new mission... in between my job hunt and attempts to get my portfolio together (which is a dramatic story all in its own) - I will be trying desperately to get my planner/organizer system back under control. I know the best thing I can do now is simplify. Take what has worked from all my lil add-ons and combine it in one central system. Any advice though? Anyone else find themselves drowning in organizer paraphenalia? Have you misplaced a tidbit of information because you have too many capture devices? Submitted by supenguin on Sun, 2007-09-02 23:26. I forget who said this, I think it may have been Einstein "Make things as simple as possible, but no simpler". I've tried to simplify my system before. I had a friend who has used Franklin Covey systems for years, and repeatedly told me "Your planner is with you." Well, I found out quickly that always carrying my planner with me was inconvenient and awkward. I need more to my system. I've also tried to put EVERYTHING in electronic format, but that doesn't work either. It is useless when I'm away from the computer, and I tend to not look at my todo list or calendar when it is electronic. Here's what I've settled on and it has helped me immensely. Nearly all my paper input goes into my Circa system. I've got a planner, a MicroPDA I carry in my wallet (along with a pen), and a notebook next to the phones in the house. Anything important in the wallet notebook or phone notebooks goes into the planner whenever I get a chance. On the electronic front, my main way of keeping touch with people is via email and chat. Anything date sensitive or actionable goes in my planner, anything that is reference goes into Journler This program is Mac-only. If you're on Windows check out EverNote, or if you use multiple computers, you may want to try out google notebooks. Once something is no longer active, it either goes into Journler (which makes searching to find it later very easy) or one of my Circa notebooks. I've got one for events for the year, a journal notebook, an address book, and then one for thoughts and quotes. 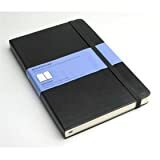 The last book has the following sections, and whenever one of them gets to be big enough, it is going to get its own notebook, as opposed to a section of a notebook: ideas, book notes, seminar/sermon notes, computer users' group notes, favorite quotes. Before I had composition books, spiral bound notebooks, scraps of paper everywhere. None of the notebooks were any where near full and I always had problems finding stuff. Now I just have to think is it paper, email or electronic, and find the right notebook if it is on paper. Usually when I write something down, it is in my planner but then it migrates to the proper notebook. Submitted by Katrina on Mon, 2007-09-03 03:08. Years ago my planning system got out of control and my boss at the time gave me some useful advice. She told me that a planning system is like a house with a place for everything. Each person organises their house or home to suit their personality and their needs. And any sensible person leaves at home the things they don't need that day. So, what am I rambling about? I'm guessing that your life has changed and therefore your planner 'home' has to change to match it. However, your life will hopefully change again soon when you get the job you want. So, perhaps it might be wise to get some control on your planner/organiser but don't reinvent it until you're sure of your new path. Perhaps you need to do as was already suggested and record things in one place and then move them elsewhere later. As you're an artistic soul, I suggest that you use colour to highlight or index the notes you've made so you can at least find the same topics even if they're in 10 different notebooks. Also, you might need to consider if you do need to record as much as you do or if there's a very simple way to record it. For example, with job hunting you're probably best just to use your main planner and assign a notes page for each potential employer you talk with and any contact etc information. Then simply index the pages to the appointments in your calendar. Cross referencing and listing things in 5 different places is useful for a planning system but disorienting when you're bombarded with so much information and so many new situations all the time. Submitted by Sara on Tue, 2007-09-04 01:42.
your insight and observations are really on the mark... I hadn't thought of it that way! I really think the chaotic nature of my life right now is having a negative impact on things... I used to have a very loved routine. I'm missing that a lot these days and seeing the differences in these days in comparison to before "the event". My satellite tools before were very appropriate for the situations I utilized them in... now I don't need nearly as many since I'm mainly here at home or over at my parents' house. Trying to keep everything the same was silly of me! I'm working on streamlining things and deciding what I really need and want with me at all times and what I can stand to eliminate until things change again. Submitted by caligatia on Tue, 2007-09-04 02:09. I keep setting up planners with the thought "if I had an office job, I'd need x and y." So I put x and y in my planner and wind up never using it. My job only requires that I have a few reference sheets handy at all times, because my schedule is given to me every day on a sheet of paper. Nothing to keep track of. School is mostly done online, even for the class I take on campus. So there's no need to carry around anything but my list of due assignments and some blank paper for taking notes. So really all I need to keep track of is what days I work, my personal calendar, and my to-do lists. Which would be why I find myself using my Circa PDA all the time now and not my classic-size planner. That book is down to a Levenger Circa notebook and a few tabs for various reference pages. Submitted by Katrina on Wed, 2007-09-05 02:54. One way you might find a bit of peace in the chaos is to create a new list of goals, projects and actions/tasks for your job hunting - and combine that list with your existing personal projects and next actions. It's so easy when one thing in life changes to suddenly drop everything, including simple personal 'next actions'. I've found that sometimes that dropping those actions is what causes the most chaos, because it's the simple things that build structure in all our lives. Submitted by Sara on Wed, 2007-09-05 13:10. I carry a simple stack of index cards (5 or so) in my back pocket at all times... If I don't have a back pocket I make sure to keep it close at hand. This is now my capture device. Everything goes on it... regardless of scope, complexity or simplicity. I use my Classic circa/rolla notebook for my main "home base" but it travels with me most times... in my messenger bag. I am working on finding a way to track my job hunt ... Doug's forms are brilliant but not quite what I need :). I printed page 63 and 64 out of the classic sized 2 up 3.0 kit yesterday. I'm out of black ink so they came out a lovely shade of blue! how marvelous - my favorite color. hehe. This should allow me to use the main line and 6 underlying lines to track who I apply at when I file with the state. I may just have to blog about all this fun reorganizing ... its been awhile since things got "all shook up". Submitted by Rachel R. on Wed, 2007-09-05 22:10. Sara, I MUST enter these "tidbits" into some sort of electronic, searchable format (formerly a Word file, now an EverNote database thanks to the wonderful, brilliant people here :) ) or I can't ever find them again. In fact, I have PILES of notes and notebooks here waiting to be entered, because I never knew what to do with the notes before I derived the electronic methods. And I keep having to spend hours looking things up all over again (because I can't find the notes I made in the old, paper version). *sigh* So...part of my GTD collection/processing process is entering any random notes from bits and pieces of paper, or my notebook into either EverNote or a relevant project-type file.